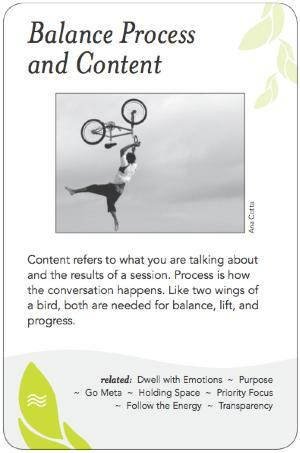 Content refers to what you are talking about and the results of a session. Process is how the conversation happens. Like two wings of a bird, both are needed for balance, lift, and progress.